When we're obsessed with something, we're like really obsessed with it. Just recently, our cat lady infatuation has become entangled with our Alice in Wonderland infatuation, causing us to spend endless hours assembling the perfect Cheshire Cat cosplay costume. We've almost figured out exactly how to become this mystifying fictional creature. We're currently decked out in pink and purple stripes, we're swishing our curled tail back and forth, and we've even mastered the iconic grin, but one last trait still evades us. 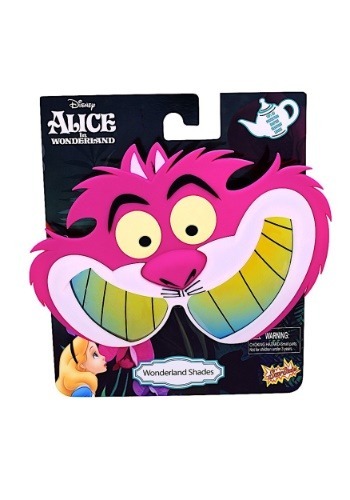 How does Cheshire Cat get those creepy eyes? Every time we stare into the mirror, attempting to recreate the character's eerie eyeballs, we end up freaking ourselves out. Luckily, these sunglasses fell into our lap fixing all our problems. The face of the Cheshire Cat covers our own, advancing us one step closer to our goal. 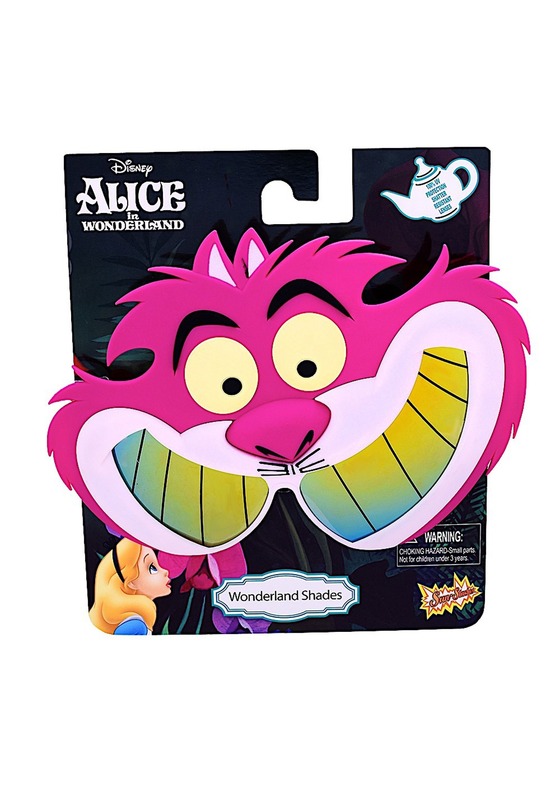 These Cheshire Cat sunglasses feature mirrored amber lenses in plastic frames, decorated to look like the kooky Wonderland character. They're officially licensed and provide 100% UV protection. Wear them for cosplay purposes or wear them with a costume. Thanks to these awesome character glasses, becoming the Cheshire Cat is now a reality for us. Becoming "Insta-famous" is also happening too, and we aren't complaining.